We can sometimes make use of rewards to get our kids do what we want them to do. Rewards are different from bribes. You reward your kids when you give them something to congratulate them for something they have done or achieved whereas you give them bribe to entice them to do something. Rewarding kids comes after the conduct you want to strengthen, while bribing comes before the action. Reward is meant to encourage your kids to keep doing the good you’d want them to achieve. Rewarding your kids make them proud that they have accomplished something. It offers them a sense of fulfilment whereas bribing may discourage them from achieving same; your kids may prefer not to do the good until bribed if they get used to bribing. For potty training rewards to be efficient, it should be given as soon as your child makes use of his or her potty. This makes it easier for your child to associate the reward with his or her ability to use the toilet. Reward is great for a child that is already making progress with potty training. It doesn’t work for a child that that is just starting out with potty training. Reward is helpful to remind your child to always return to the room to use the potty any time he or she is pressed. Your child may already get used to going to the potty when he or she is his or her room. You may use reward to remind him that he must always go back to the room to use the potty even when he is playing outside the room. You can offer him a reward if he returns to his potty anytime he is pressed. This does not mean that you would entirely leave the job of deciphering when to use the potty for your child. Even while making use of rewards, you should still watch out for signs to take him or her to the potty. You offer a reward to a child as an extra incentive to make use of the potty. For it the work your child would already be prepared for it. Rewards prove most successful for kids that are at least three years old. At this age, they are more likely to use the potty when offered reward. Your rewards can be of varied form. What works best is what your child likes. It can be things like stickers, coloring books, crayons, chocolate bars, sweets etc. Sticker charts are a good way to measure your child’s success rate. You can offer him/her a sticker anytime he or she succeeds in making use of the potty without an accident. The number of sticker he has thus becomes a measure of his success. TIP: Potty training pants are good ways to prevent leaking when accidents happens. Some parents say that rewards were not very beneficial to their child. The reason for such failure is introducing rewards earlier in the potty training process. Rewards are not very effective at this early stage of the training. The perfect time is when your child is close to mastering the act of using the potty. Give the reward instantly. 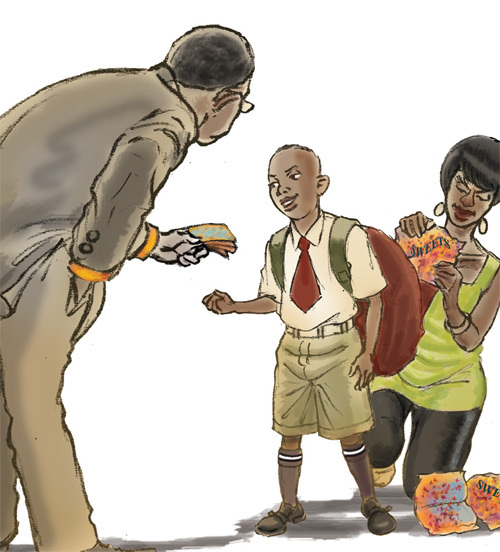 Instant reward helps your child to connect the reward to the behaviour. The younger your kid the more instant you should make use of the reward to reinforce an action. You are not supposed to offer your toddler what he is asking for in the present to make him keep to his promise. A toddler of preschool age only identifies with things he instantly feels and desires. Your child may make a lot of promises to you but don’t expect him to keep to them at such tender age. When material rewards are used keep it minimal so you don’t easily run out of treats and to keep him interested. The aim of the treat is to keep their interest always alive. Don’t use too much foods or sweets as treats since it may make your child to develop abnormal eating habits. It can be used sometimes but only minimally. You may start offering him a reward for just sitting on the potty and proceed to only when he actually uses the potty to wee or poop. This is to prevent him from just rushing to the potty every now and then, just to be treated. Ensure that what you expect from your child is practical. If you request for something that is not very pragmatic, you may end up discouraging yourself and your child rather than motivating him or attaining your set goal. Even when your child has already made some progress, he would still need you to direct him when to use the potty. Use cheering response to reinforce his behavior and incorporate it as a part of your day to day treat instead of using a real treat. Some children may need continuous support years after the potty training.